Born in a remote village of Jajarkot in the Mid-Western part of Nepal, Dr. K. B. Rokaya is among the very few independent and free thinking intellectuals in Nepal at present who are deeply concerned about the country and society. Having obtained basic engineering degree from Jadavpur University Calcutta, India, Dr. Rokaya received Master’s degree in Engineering from University of Bradford in UK and a PhD degree in Energy engineering from the University of the Philippines. 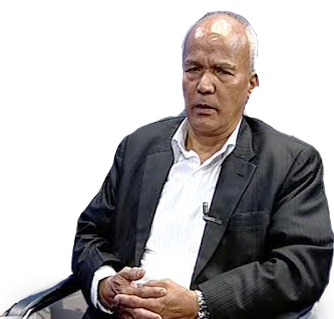 He started his career as an Electrical Engineer in the then HMGN Department of Electricity(now Nepal Electricity Authority) from where he resigned protesting against the widespread and institutionalized corruption. From there Dr. Rokaya joined the Institute of Engineering under Tribhuvan University where he served for over 23 years holding the position of Department Chair and Chief of the Central Campus in Pulchowk. He also served as the first Nepali Director in the United Mission to Nepal(UMN) and first Country Director of Intermediate Technology Development Group, a British INGO(now Practical Action). He became very frustrated and disillusioned withthe government and political parties that came to power after the political change in 1990 due to their indulgence in corruption, nepotism, and extreme politicization of every sector. This made him to be sympathetic and support the Maoist movement. After the launch of the Maoist People’s war, Dr. Rokaya became very involved in human rights. He was the founder President of the Maoist affiliated human rights organization, the People’s Rights Concern Movement. He worked closely with the Maoist top leadership and played significant role in mediating/negotiating between the Maoists, the government and the king for resolution of the conflict through dialogue and peaceful negotiation. Dr. Rokaya played key role in internationalizing the Maoist agenda and drawing the attention of the international media, human rights community and the governments. He was thus instrumental in bringing international recognition to the Maoists and putting international pressure on the Nepali government to invite the Maoists for dialogue. Through continuous and untiring efforts, he succeeded in persuading the EU, UK and finally the USA to be softer towards the Maoists and encourage the Nepal government to invite Maoists for dialogue. He established the first official communication between the Maoists and the US government which led to the eventual peace talk, ceasefire, and the historic Comprehensive Peace Agreement which ended the decade long Maoist conflict. 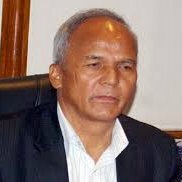 He was appointed as Member in the Ceasefire Monitoring Committee and later as Member of the National Human Rights Commission of Nepal. Wherever he has worked, Dr. Rokaya has always taken strong stand against corruption. Dr. Rokaya, himself a committed Christian, played lead role in the initiation of interreligious cooperation in Nepal and was the first Vice-President of the Interreligious Council of Nepal. He continues to play key role in encouraging, promoting and strengthening interreligious harmony and cooperation which he believes is key to lasting peace and meaningful development of Nepal.Since 2006, Dr. Rokaya has been leading a Nepali national think-tank group called the Nepal Intellectuals Forum as its President. Lately Dr. Rokaya has distanced himself from the Maoists and has been working as an independent and free intellectual. He has been advocating for the restoration of monarchy for national unity and removal of secularism to prevent society from moral degradation and destruction. He is encouraged by the recent political change in the USA which he hopes and believes will support the movement for restoration of monarchy and promotion of religion, spirituality and morality in Nepal. The following is an edited and shortened version of the long conversation with Dr. Rokaya on contemporary national and international issues by senior journalist PremKaidi for the people’s Review. Q. How do you define the present crisis of Nepal? A. Well, Nepal is in multiple crisis at the moment, not one kid of crisis. We have economic crisis, we have social crisis and then moral crisis, these are the crisis that Nepal is going through right now. But the main crisis is political crisis and that is leading to other kind of crisis. Nepal’s politics at the moment seems to be totally detached from the people and country. Politics at the moment is just for the sake of politics, and only for the political parties, their leaders and some vested groups. That means the people are totally detached from the politics. They have no interest in politics since the political leaders, political parties and the government are not addressing the issues and concerns of the people and the country. No institution in the country seems to be functioning properly. The institutions and all state mechanisms are too much politicized. Because of this the common people have lost interest and confidence in the very political system, parties, leaders, government, bureaucracy and even the judiciary. Q. How do you define the foreign intervention in Nepal at the present time? A. Well, even the common people also understand, as Dr. BaburamBhattarai when he was the Prime Minister said that the key of the Nepalese politics lies outside. He said that and that is true and that is also happening today. Nepalese parties and their leaders are not doing politics independently and for the country and people. They are being just used by outside forces and that’s why they can’t make decisions for the people, for the benefit of the people, for the welfare of the people and for the welfare of the nation. They can’t make any decision because they are not free but are being used by outside forces. So outside intervention is at its peak right now. And this is also another big crisis which is raising question on the future and the very existence of the country. Q. As you mentioned the key of Neplesepolitics is outside, which country particularly you point out? A. Well we all know, it is open, it is not a secretthat India being our closest neighbor and the open border with India and also from the ancient time we have very special relationship with India- culturally, religiously, historically,linguistically, and geographically. So naturallyIndiahasbeen playing big role in Nepal. But at the same time, we have to accept the reality that Nepal’s relationship with India is very special and itcannot be compared with our relationship with any other country. Rather than blaming India for everything, our politicians, bureaucrats, intellectual community and common people need to foster good and cordial relationship with India and work for mutual wellbeing and benefit of both countries.Patriotism needs to be redefined in the light of this reality. Then we have another neighbor to the North, China, with which also we have had historical and traditional relationship.China is also becominga world power. So China has also big influence in Nepal. Even thoughit is a very small country, Nepal’s location is very strategic,which is very interesting, and that is why it is centre of attraction for the whole world. Then we have ofcourse America, we have U.K, and we have the European Union. These are the fiveworld powers which are influencing and playing role in the politics and economy in Nepal at the moment. Because of too much outside control and influence, the political parties and the government cannot make independent decisions for the people. They have not been able to help even the victims of the 2015 earthquake even though it is almost two years. Earthquake and other natural disasters happen in other countries also. But there the government and the whole country focus their attention on the disaster/crisis,even declaring emergency situation, and within maybe within 5 or 6 months everything is brought to normal situation. But in Nepal that is not being done. Individuals and families affected by the earthquakeare still living in tents even after two years. They have gone through two Monsoons and two severe winters and another Monsoon is approaching. But the government and political parties and leaders have done little or nothing to help them. Thus the whole situation of the country is very critical and serious, all of us have to be very serious, all of us have to think very seriously at this point. It is the fear of the Nepalese people that if some big, drastic internal intervention does not take place, then the very existence of the country may be threatened. Q. Internal intervention means by which force? Which force you have in mind that has to come forward and intervene? A. As I already said, current political forces in Nepal are not doing anything for the country and the people and the people are not expecting anything from them. I have been saying since more than a year now that Nepal has been founded on three pillars. These three pillars are the Shah dynasty (monarchy), the Nepal Army and the Hindu religion. These are thethree pillars on which Nepal, the current country of Nepal has been founded. I have been realizing now that for long time efforts and conspiracies are being made from outside forces and their agents in Nepal to dismantle these three pillars thereby destroying and removing Nepal’s identity. In that process, two of these pillars- Shah dynastical monarchy and Hindu religion- have already been dismantled and destroyed. Only one of the three pillars – the military – is remaining and that pillar is also very weak at the moment. The purpose and role of Nepali Army traditionally seems to be to protect the institution of monarchy(the Shah dynasty), to protect and preserve the Hindu religion and to protect the sovereignty and the boundary of the country. These three main responsibilities lied on the solders of the Nepali Army. But at the moment none of these roles are being effectively played by the Nepal Army. This has made the common people to question on the very existence and role of the Nepali Army. Sowhen I say internal intervention, I mean we have to reestablish these three pillars again. We have to bring back the monarchy in some form to protect the unity, sovereignty and identity of the country. In my view, the Nepali Army has to play lead role in this.The Nepal Army has to think why it was established, why it was created in the first place. Also secularism has to be removed and religious identity of the country should be restored. But I think the first and most important step is to restore monarchy. Q. You mean you want something like the event in B.S. 2017 to happen in Nepal? A. Well, I am not going that far right now. But right now I see three ways in which these three pillars of Nepal’s national identity can be restored and brought back to prevent national disintegration and civil war. The simplest and easiest way is consensus among all the current political forces,political powers and also goodwill of the international community on the need to restore monarchy in Nepal in some form. If the political parties and leaders come to realize that it was a mistake to remove monarchy and feel the need to restore monarchy to bring the country out from the present chaotic situation, then monarchy can be restored through the normal constitutional way. 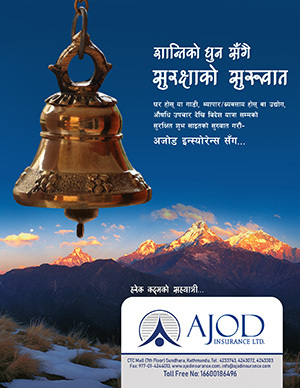 The country has become without a guardian, Nepali people don’t have a guardian, Nepal Army doesn’t have a guardian. We have become guardianless. The Shah dynasty was playing a role of the guardian and a common reference point for the people and unity of the nation. If the political parties, current political leaders realize and,I think many are realizing, top leaders of different political parties have from time to time made statements in this regard, on the need and role of monarchy, the current Parliament can vote and decide to restore monarchy. But I don’t know whether these political parties and leaders because they are not functioning independently, they are not free to make decisions for the benefit of the country and the people,can sincerely and genuinely be ready to do this. The second way is for the military,the Nepali Army, to intervene. This is the most possible and most viable way to bring the current chaotic and uncertain situation in the country under control and to save the country from disintegrating and plunging into civil war. The military can take control of the situation for the short period of time and can do whatever needs to be done to bring the country back on track and prevent it from sliding further into uncertainty and chaos. The third way will be through another people’s movement like the one in 2062/63 B.S., a strong movement by the people to restore monarchy and to remove the evil of secularism. There is a sense of urgency on the part of the conscious and patriotic citizens of Nepal to act and do something to save the nation. The Nepali Army has said from time to time that it is watching and observing the situation in the country very closely. This has raised great hope and expectation in the Nepali people who have been time and again used, betrayed and forgotten by the politicians and governments. Q. But can you point out objectively which are the biggest threats for the nation? What kind of threats Nepal is facing? A. Well, there are many threats.The whole notion of nationalism has been lost. People are not any more talking in terms of Nepal. People are only talking about their own geographical region, their own ethnic group, their own religion, and language. Nepali nationalism is at its lowest which is a matter of great concern for every patriotic Nepali. People no more feel proud for being a Nepali like before. So there is big threat on nationalism like never before. This is again disturbing and distorting national unity because of which the country is heading towards a civil war- fighting/conflicts among different regions, among different ethnics groups, even religious conflicts. So nationalism, national identity and national unity are at risk. I believe only restoration of the Shah dynastical monarchy can save the country from this. The second big threat is rapid moral degradation in society –widespread and systemic corruption, towering crime rate, immorality, indiscipline, absolute lack of respect, dying and disappearance of family and spiritual values. Because of the introduction and promotion of secularism in the country, the people and society are becoming more and more immoral, Godless, religionless and valueless. This is making people cruel, selfish, individualistic, criminal, compassionless, and materialistic. This is really destroying the very fabrics of Nepalese society and affecting traditional family structure, that is affecting the relationship between husband and wife, parents and children, students and teachers, and so on. The rate of divorce and crime within families is increasing at an alarming rate in the country. This is all because people are becoming more and more Godlessand less religious and morality, ethics and traditional social norms and valuesare dying out.So, there is serious moral crisis and threat in the country which, if not addressed urgently, can put the identity and very existence of Nepalese society in danger. Removal of secularism and reestablishing the role of religion, ethics and morality are needed to save society from disintegration and destruction. Q. The present world is a unipolar one and America is the world super power. The American politics and the American way of life affects and impacts the rest of the world including the crisis and threats in Nepal which you have mentioned. Now there is political change in America with Donald Trump from the Republican Party as the new President of the United States of America. How do you think this might impact the politics and society in Nepal? A. You brought up a very important question, the issue of the recent Presidential election in the USA and the victory of Donald Trump as the 45th President of USA. I think this is very, very important question that you have raised because Trump’s victory and new political change in USA is not only going to affect theAmerican politics and society but the whole world is going to be impacted and affected by this including Nepal. I think after the fall of the former Soviet union, this is a big historical event in the 20thand 21st century that has taken place. Actually the recent Presidential election in USA and the victory of Trump has become an event which is turning the world upside down. No one in the USA and globally really believed that Trump would win. Even up to the moment of his oath taking ceremony, there was wide skepticism about that. Trump’s victory stunned the whole world. It put question mark on the American as well as global media, the intelligence community and the academia. I think no other American Presidential election candidate has been the subject of such extreme hatred, opposition, curiosity as well as hope, aspiration and expectation like Trump. It was not only an election for America, but the whole globalcommunity was participating in this with fear, suspicion, doubt, hope and expectation. I think never before different religious people and groups all over the world prayed for a Presidential candidate in USA as they did for Trump this time. I do not think even Christians both in the USA and elsewhere prayed as much vigorously and fervently as they did for Trump this time. I read news about Hindus in India praying for Trump, Buddhist monks in Myanmar praying for him, and Muslims supporting and campaigning for him. Of course Christians in the USA and globally were praying for him. We also prayed for him in our Church. Q. Why do you think there was so much interest in the US Presidential election and support for Trump among the religious people and groups in the USA and outside? A. This is a difficult question to answer. I think behind the keen interest among the religious groups within USA and worldwide in this election and the support for Trump is the perception that due to the emphasis on secular agenda, the US system and society is becoming more and more ungodly, less religious and spiritual, more violent with too much individual freedom without any moral boundary. God, religion, morality and spirituality were being pushed aside. Religion has no role and voice in public affairs and in governance and policy formulation. Politicians, lawyers, judges, academicians and celebrities make moral decisions without any role and involvement of religious scriptures, institutions and leaders. As people all over the world and specially the young generation tend to follow and copy the life style of the American people,this was somehow affecting the religious, cultural, ethical, moral, social structure and traditional spiritual values particularly family structure and values in other parts of the world including in Nepal.So, religious minded people in the USA and around the world, people who believe in God, spirituality, some kind of supernatural power, morality, ethics, and traditional family valueswanted to see some one who believed in God and spiritual, moral and family values to become the President of the USA. They hoped that this would in some way help prevent moral degradation and the erosion of spiritual, traditional, cultural, religious and family values in their own country and society. To support my hypothesis and viewpoint, let me mention here what a famous American Christian evangelist and religious leader Rev. Billy Graham recently said.Since at least 2009, the world famous evangelist Rev. Billy Graham has been time and again quoting his wife Ruth who once said,”If God does not judge America, he must apologize to Sodom and Gomorrah”.Sodom and Gomorrah were ancient cities mentioned in the Bible which were destroyed by God by raining fire from heaven because of the utter immorality that prevailed there. Rev. Billy Graham’s comparison of the USA with Sodom and Gomorrah shows the extent of moral and spiritual degradation taking place there. Q. How do you explain the outcome of the US Presidential election and the victory of Trump? Do you, like some people, believe that there was some kind of divine intervention? A. You have again brought up a very interesting topic. As the outcome of the US Presidential election was virtually contrary to what traditional media, academicians, politicians and political analysts within USA and outside had projected, anticipated and expected, the only rational and logical explanation of this is definite active and calculative divine intervention. Actually the only people who believed and expected Trump to win were religiously minded people around the world belonging to different religious faiths. This was because religious minded people, people who believe in God, who believe in some supernatural power, can believe the unbelievable, see beyond the present, and hope in the midst of utter hopelessness. Actually there was more spiritual and divine dimension in the 2016 US Presidential election and victory of Trump than social, political, economic and intellectual. Let me cite few examples for this argument. Again Rev. Franklin Graham said, “Trump’s win was the result of God answering prayers”. American Televangelist Jim Bakker said, “Trump’s Election is The Greatest Miracle I Have Ever Seen”. Steve Strang, the founder of the Pentecostal magazine Charismasaid, “Trump’s Election Was An ‘Absolute Miracle’ From God”. Even President Trump and his team in White House acknowledged that Trump was there as the 45th President of USA by ‘miracle’. The fact that even Hindus, Buddhists and Muslims were praying and campaigning for Trump is another reason to believe in divine intervention in Trump’s victory. There are some other interesting news items which show how much interest religious people all over the world had in the recent US Presidential election and in Trump’s candidacy. On September 4, 2016 there was news that one of the Trump’s attorneys saw a figure in the cloud which resembled the head of Mr. Trump. He concluded saying that God had voted for Trump and that he was definitely going to win. On November 4, 2016 there was another news item saying that a psychic monkey in China had predicted that Trump would win the election. Whether we believe or not, these sayings and news items show just how much interest there was among the religious community around the world in the 2016 US Presidential election and how they supported and campaigned for Trump because they believed that Trump is a believer in God and would restore the place of religion in society and promote spiritual and moral values. As we have seen, religious people in USA and outside believe beyond doubt that God had a hand in Trump’s victory. To them, Trump’s victory is a proof that God exists, he is concerned about the affairs of the world, is gracious and merciful giving chance to people and nations to repent and turn away from wicked ways(II Chronicles 7:14).God is sovereign, he rules and he is on the throne and intervenes in human history as he did this time in the US Presidential election. Q. Looking at the way President Trump is working and what he has done since becoming the 45th President of the USA, do you think he will meet the expectations and aspirations of the religious communities in America and outside who supported, prayed and campaigned for him? A. I think he will. People all over the world were watching Trump’s Presidential inauguration with great interest. It was done in a very religious and Christian way with the presence of Church leaders, reading from the Bible, and prayer. In his inaugural speech, Trump acknowledged that more than anything else America’s security is in God. In a separate interreligious prayer meeting, religious leaders from all major faiths were invited to pray. One of my American friend told me recently that most members in Trumps team are deeply committed Christians who believe and fear God and will promote role of religion, morality, ethics and spiritual values. I heard already that US schools have been declared gun-free zones. I also read news where the new education Secretary told that she would work to bring God’s kingdom meaning restoring role of religion in society and promoting morality and traditional spiritual and family values.Like in Nepal, nationality and spirituality were facing threats in USA. From Trump’s inaugural speech and his selection of his team members, it can be seen that his administration will seek to strengthen nationality and morality which will directly or indirectly impact and affect the politics, economy and society in other countries including Nepal. I do hope and pray that God will give Trump and his team the grace, wisdom and strength to meet the expectations of people who prayed for his victory. I pray that President Trump and his team will trust in God and seek his guidance in all they do. (Proverbs 3:5-7). Q. There are mass rallies and protestingin the USA and worldwide against Trump. What is your view on this? A. Yes there are mass rallies, protests and all kinds of accusations against Trump and his team. I am not at all surprised by this. As Rev. Franklin Graham said,American people were feeling that their country is heading in the wrong direction and wanted intervention from God to turn things around. It is important to note the phrase ‘turn things around’. So this is not just another US Presidential election like usual. From this election, there has been discontinuity in regular American politics and the task of the new President and his team is ‘to make America great again’ and ‘to turn things around’. It is to shake the American politics and society and change the course of history not only in USA but throughout the world. So it is a Hercules task. As believed by many, God had a hand in this election and Trump’s victory. God’s continuous hand will be needed in what Trump and his team do. I hope President Trump and his team members will realize this and learn to utterly depend on God and seek his guidance in all they do. It is interesting to hear from some Nepali living in the USA about the protests against Trump. One of them told the people who are protesting are not real Americans. They are foreigners living in USA illegally. He also told people who are protesting against Trump are the LGBT people, advocates of atheists and ungodly, criminals, and immoral people who advocate for total individual freedom to do what one likes without any respect for and fear of God and any sense of morality. I believe there will be more protests, more opposition and more hurdles on Trump’s way. But if God has put him there, as many believe, nothing will stop and prevent him from doing what God has put him there for. We will see many and more unexpected and stunning things which are beyond human thinking and reasoning. Trump and his team members should not be disheartened, disheartened and frustrated by the amount of protests and opposition they are facing. If God is for and with Trump, who can oppose him? (Romans 8:31, Matthew 5:11-12, I Peter 4:12-17.). So as you said, yes there are rallies and protests against Trump in USA and around the world because he is there ‘to turn things around’. It is definitely a matter of life and death for many in USA and around the world who have been used to one way of life and Trump is going to change that all. Q. How will Trump’s victory impact Nepal in particular? What difference do you think Trump administration will make for Nepal? A. Well, as I have said not only Nepal but the world is going to be impacted by the political change in the USA. The US and Russia have always been enemies. Now we are seeing that thisis going to change with Trump’s more friendly approach towards Russia and Putin. That will have a big global impact. Even the UN may change and undergo huge restructuring. I read news where Trump has criticizedthe UN and expressed unhappiness with its current structuring and way of working. I also read another news where a bill has been introduced in the US Congress to withdraw from the UN membership. So we can anticipate massive change and upheaval not only in Nepal but globally. The European Union (EU) may also be impacted in a significant way which will again impact NATO. Then in south andsouth east Asia, there is going to be big change with changing role and involvement of China and America. Trump seems to have cordial and friendly relationship with India specially with Prime MinisterModi. I have read news where Trump said he loves India and Hinduism. The changing policies and new US relationship with global powers are definitely going to have huge and unprecedented impact in the global politics, economy, ethics, society and militarization. The situation in the Middle East will also affected. As far as impact on Nepal is concerned, it is already being affected. For example, you know, America was giving support, giving aid for family planning programs in Nepal. Now the US government, as Trump administration doesn’t support abortion, the aid for family planning and reproductive health projects has been stopped. Then human rights and civil rightsagenda will also be impacted,as Trump is giving more emphasis to nationalism and morality and increasing role of religion in governance and society. I believe Trump and his administration will support nationalistic forces in Nepal. One of my Nepali friends told that Trump has said he will support monarchy in Nepal. If this true, with Trump’s soft corner for monarchy and Hinduism, nationalistic forces and religious forces in Nepal will be strengthened which will drastically change the current political scenario in Nepal. So the prospect of monarchy being restored and secularism being removed in Nepal is increasing with Trump as President of the USA. Q. As we come towards the end of our very meaningful conversation, do you have anything more to say? A. Well I have said many things already on many issues related to Nepal, USA and the world. I do believe that the recent political change in the USA is historical, significant and important event which is going to impact the whole world. It may be the beginning of a new ‘old world order’. The past six decades or so, have seen big emphasis on democracy, freedom, human rights and development. Though there have been some physical and technological progress, society as a whole has not become better. The spirituality and moral quality of life has deteriorated resulting in increasing crime, corruption, conflicts, wars, mass annihilation, nuclearisation, militarization, weapons buildup, environmental degradation, climate change, dehumanization etc. which are threatening the very existence of humanity and the life of the earth itself. Now the global trend will be emphasis and focus on nationality, morality, religion, fraternity, and living in harmony with the nature rather. The focus in future will be on moral and spiritual development of human beings which will bring inner peace resulting in outer peace in society and world. God and religion, which have been pushed too far by modern governments and societies, will make a come back. The ultimate war is between God and Satan, good and evil, morality and immorality, love and hatred, selfishness and kindness, compassion and cruelty, light and darkness, temporary and eternal, godly and ungodly, justice and injustice, physical/worldly and spiritual, truth and falsehood. Each of ushas to decide on which side we stand.